The St George Illawarra Dragons will compete to defend the Monty Porter Cup when they host rivals the Cronulla-Sutherland Sharks in the local derby at Jubilee Oval, Kogarah on Sunday. 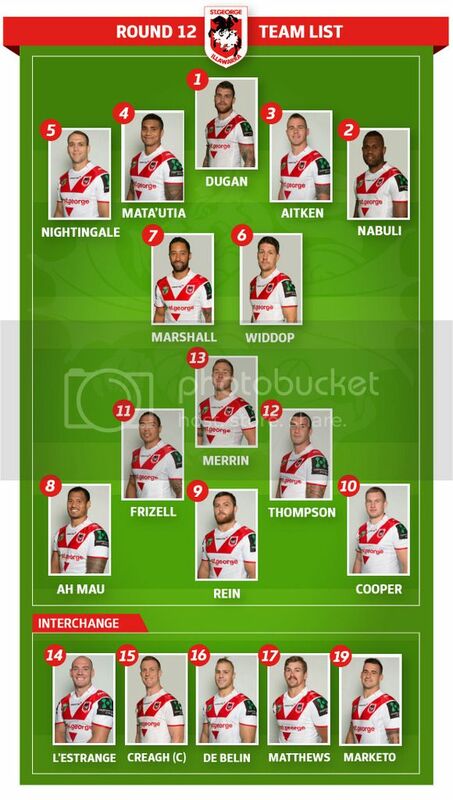 Dragons Head Coach Paul McGregor has named an 18-man squad for the fan-favourite fixture which returns to Jubilee Oval, Kogarah for the first time since 2011. “The local derby is always a favourite match on the calendar each year for both the Dragons and the Sharks as well as the supporters of both clubs,” said McGregor. “There is always great intensity in these local derbies and having had the break last round due to the bye, the players will be ready to go and they will enjoy the occasion as well as playing in front of the big home crowd support at Jubilee Oval on Sunday afternoon”. The Dragons presently hold the trophy following their 30-0 win over their local rivals at WIN Stadium, Wollongong in round 13 last season.